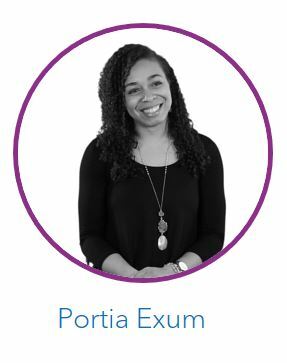 As a SAS analytical software tester, Portia Exum knows what it takes to deliver quality software. 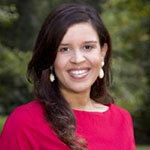 She understands the rigor and the dedication to produce a product that the world can trust. But last year, she was on the receiving end of what it means to trust and find confidence in the quality of SAS® software for the very first time. In 2017, Portia received a phone call from her parents -- one she couldn't possibly have prepared for. Physicians had found a tumor, approximately the size of a cantaloupe, and based on the scan results and tumor markers, they were already concluding her mother had ovarian cancer. "It was devastating for us all because we were just coming off this big high," said Portia. "My brother and I had just announced our upcoming weddings. We went from extreme excitement to fear – fear she might not be well enough, or even here, to watch us both walk down the aisle." Immediately Portia boarded a plane to meet her family in New Jersey. Being with her mother and speaking directly to the physicians was non-negotiable. Portia had questions that needed answers. She wanted to feel confident in those who her family was placing their complete trust in. Fear is a powerful and all-consuming emotion, but at her mother's first follow-up appointment post-surgery, Portia's fear began to subside. Her mother's doctor recognized the SAS logo on Portia's phone, allowing the two to connect through data and analytics. By sharing her statistical background and her rich understanding of clinical trials, Portia and her mother's physician could have a deeper, more meaningful dialogue. Together the two talked through previous clinical trials, the frequency of treatment and the best options and combinations of drugs. They discussed the statistically significant differences and the power in some of the studies conducted – results derived from SAS. Those results are something Portia takes great pride in. "I'm no longer an advanced analytics tester, and I may not work on the exact procedures that produce these results," said Portia, "but I do contribute to a company committed to excellence and quality." Portia and her family continue to wait and watch as doctors make life and death decisions for her mother. But she rests in the fact that all the decisions made rely on SAS software. "Any drug that gets approved by the FDA must use SAS software," said Portia. "I understand where the information is coming from. I know it's accurate and reliable. It's information we can trust," said Portia. Portia and her family are still making their way through the journey of ovarian cancer. Every Tuesday, during lunch, Portia Skypes her mom as she sits through her weekly chemo session. The journey is scary and certainly tough. But Portia carries an unwavering level of confidence because of the quality behind SAS software. "I can rest knowing that [my mother's]treatment options are decided by SAS," said Portia.